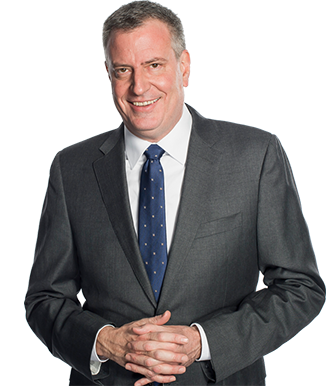 NYC Mayor Bill de Blasio has increasingly given the impression that he is prone to simplified political expediency. You know, that he may be the kind of pol who guesses what people want to hear, and then says it, without regard for accuracy, honesty, or commitment . Case in point: de Blasio's "new" get tough policy on civil rights litigation. That it may be new to him does not make it new. Particularly when it was already in place. Following newspaper accounts of a decision by the City of New York to pay Rahim Ullah $5,000 because the police shot him after he threatened the officers with a machete, City Hall announced it will add 30 lawyers and 10 paralegals to the Law Department for the sole purpose of litigating "frivilous" police cases to trial. This, de Blasio claims, is a groundbreaking and novel approach to such lawsuits. At first blush, this might seem to be a purely political act, one de Blasio undertook for no purpose other than to justify a press conference where he can give a "I stand up for the NYPD" speech. It might also appear to be a load of crap that creates more problems than it solves. If you thought these things, you'd be right. We’re saying no. This has gotten crazy, the frivolous lawsuits have gotten out of hand. We’d rather stand and fight, even if it costs more money in the short term. In the long term if it ends the frivolous lawsuits because we beat them time and time again, it’s worth it in money terms, it’s worth it in terms of respect for the officers involved, and just what’s right. What happened in this case was wrong and it’s not gonna happen again. The Bloomberg administration has embarked on an aggressive legal strategy intended to curtail the rising number of federal civil-rights lawsuits filed against New York. Instead of offering small settlements to avoid trial, the city started to identify weaker cases and has been contesting them in court, pushing many to trial. The city said it was too early to judge whether the strategy, which began in July 2011, had discouraged lawyers from reflexively suing the city, but it believes the policy has had some effect: after five years where the number of federal civil-rights suits against the city had increased, the number declined slightly in the most recent fiscal year. So much for de Blasio's puffed up claims of innovation. As any civil rights lawyer who's been practicing for more than a few years knows, and as the NYT reported, the Law Department had openly touted a more aggressive policy on litigation. Indeed, several years back they created a trial team and promoted a new Deputy Division Chief within the Special Federal Litigation Unit (known generally as "Special Fed") with her chief responsibility being to supervise the trial team. The Special Fed unit would identify cases as "no pay," and litigate them accordingly. Of course, because only a fool would insist on trying entire categories of cases without regard for risk, cost, and practicality, Special Fed, working with the Comptroller's Office, continued to settle cases as well. As lawyers on both sides of the fence can attest, there were the occasional irrational decisions. Cases that should settle would go forward, while the City would pay when early on more defensible cases. But overall, the process made sense. The new, anti-frivolity plan, offered with little guidance, will likely throw a monkey wrench into the works. Defining frivolous cases, and estimating how this plan will impact the process are issues for another post. It is enough to say that calibrating litigation policy for the New York City Law Department is no easy task. It is not simply a matter of articulating principles and putting them into action; one must take into account the vast myriad of issues critical to the Department's fundamental job of protecting the City fisc, which means engaging in complex risk management. Chest pounding makes for good politics but's a lousy management strategy. As for the Mayor's bold new approach to civil litigation, to paraphrase Linda Richman, it is neither bold nor new. Talk amongst yourselves.